Looking for an open first floor floorplan? with a contemporary feel? Check out this 3 level townhome with a desirable Great Room w marble surround gas fireplace, banked by twin sliding doors that open to a wonderful deck looking out at a private wooded rear yard, open dining room area, and new Kitchen with beautiful cabinetry, granite countertops, stainless steel appliances, and hardwood floor. Perfect for entertaining or just enjoying the peace and quiet of your own home. This main level has high ceilings, recessed lighting, crown molding in addition to nicely done powder room and hall coat closet. Go up the stairs to the master bedroom suite w a huge walk-in closet, sitting area, ceiling fan and private master bathroom with double sink vanity, whirlpool tub, and separate shower. The second bedroom also has a nice size closet and hall bathroom with tub/shower and single sink vanity; the hallway closet is designed with space for all your linens. The finished lower level is currently used as a family room but would also make a terrific home office. You will find a powder room and laundry area on this level with a full size washer, dryer and laundry sink, along with access to the oversized one car garage. 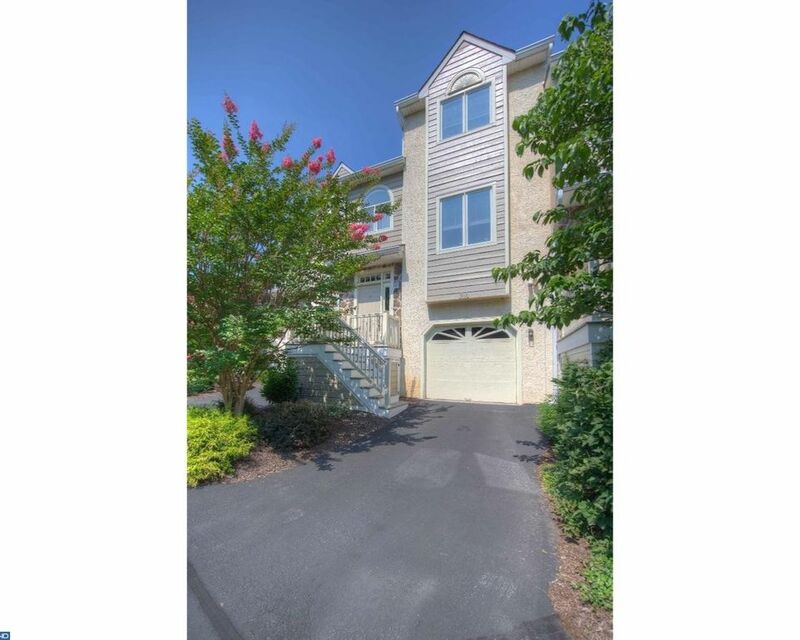 The townhouses in this community do not come on the market very often with a location that is convenient to all the new stores, shopping and restaurants in Newtown Square and the towns of Wayne, Villanova, and Radnor. Minutes from major access routes and rail transportation. Also convenient to walking trails and bike paths. The association covers common area maintenance, lawn, snow removal to your front door, and trash.